Production Outfitters is happy to announce the arrival of the Sony NEX-FS700R to our ever expanding inventory. The NEX-FS700R is equipped with a new 4K Exmor Super 35 CMOS sensor featuring full 2K RAW up to 240fps or 4K RAW up to 60fps output. The high-speed readout chip is optimized for motion picture shooting, producing exceptional image fidelity with high sensitivity, low noise and minimal aliasing. The FS series camera’s E-mount is designed to accept virtually all 35mm SLR, DSLR and cinematography lenses. It features "S Log2" which allows the very wide latitude of the camera to be captured. The camera also features 800% 709 gamma curves, widely enhancing its exposure latitude and HD capability. 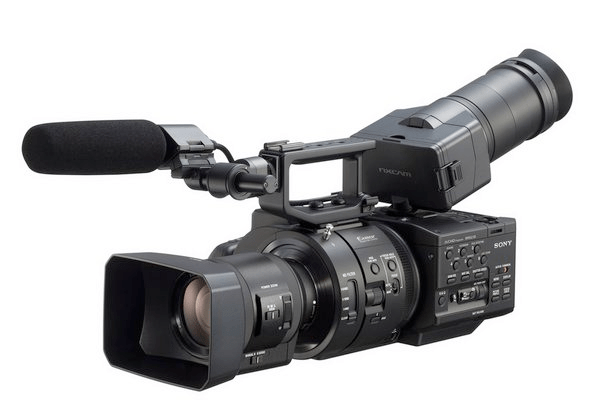 Call or Click today to book the Sony NEX-FS700R for your next production. Available as a rental or with a crew. Next Next post: RED Dragon 6k Now Available!